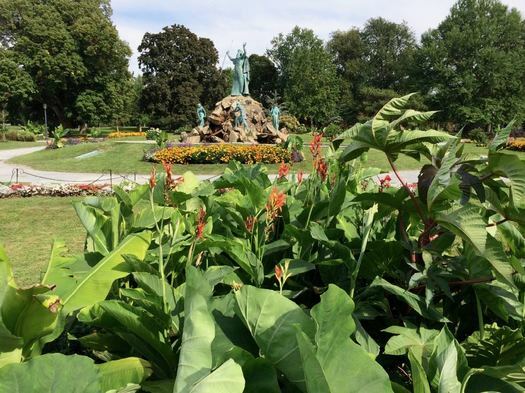 We'll just get right to the point here: You should not dig up and take the tropical plants from Washington Park in Albany. Doing so is stealing from the city and its residents. Also: It's tacky. Even so, someone has been stealing the plants. And Albany city's gardener would very much like them to stop. 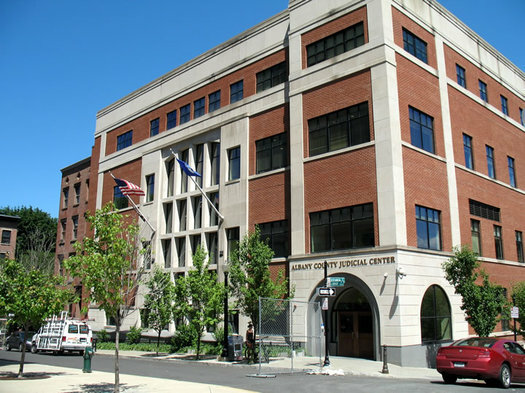 "The grievous error ... cries out for resolution"
You might have heard about the case of Marquis Dixon, the Albany teen convicted of stealing a pair of sneakers from another teen in downtown Albany in March of 2014. 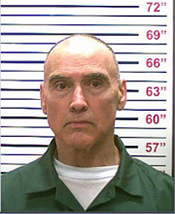 His case has gotten has a lot of attention -- from advocates such as Capital Area Against Mass Incarceration, and a series of columns written by Chris Churchill at Times Union -- because Dixon was sentenced to nine years in prison for the crime. Advocates for Dixon have argued that sentence is unfairly harsh, especially given the limited evidence that he might have displayed or implied he had a gun during the crime (Dixon admitted to stealing the sneakers but said he never had a gun). On Thursday a state appellate court ruled on Dixon's appeal. And the short story is that it decided Dixon should get youthful offender status and that his sentence be reduced to 1-3 years in prison. You can read the decision online, which walks through the various elements in the case. For example: The court was unpersuaded that the limited evidence about the gun -- basically, the word of the victim that he saw something black and blocky tucked into Dixon's waistband -- should knock out that part of the case. But the part about considering Dixon for youthful offender status is remarkable. (Presiding justice Karen Peters raised the issue during the oral arguments in the appeal.) The court basically concludes that everyone involved in the case screwed up on the question of whether Dixon should be eligible for the status. 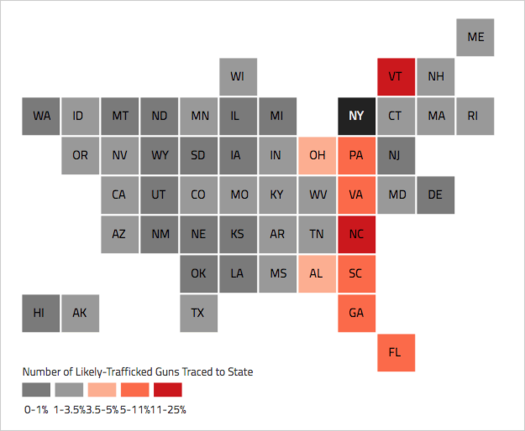 This map is clipped from the AG office's interactive report -- it shows which states are the origin for the "likely-trafficked" guns recovered in the Capital Region. Of the almost 53,000 guns recovered by law enforcement agencies in New York State between 2010 and 2015, 74 percent of those guns originated out of state. And of the 1,872 guns recovered in the Capital Region over that period, 67 percent were from out of state. Those figures are a from a new report by the New York State Attorney's General Office -- "Target on Trafficking" -- that use federal gun trace data to argue for stricter gun regulations on the federal level and in other states. The report tags a handful of states with more lax regulations for being the source of many of the crime guns, handguns in particular, that end up in New York. That note attached to the pipe says "Have a Nice Day!" 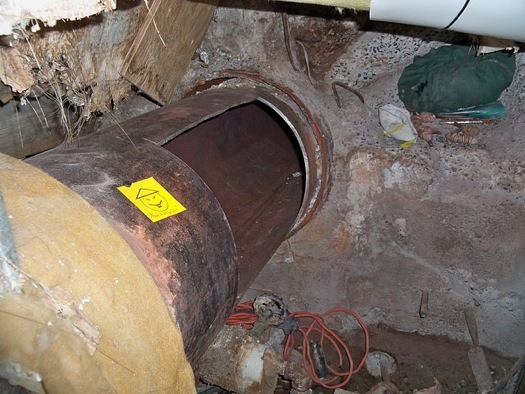 There are a few more photos of these prison escape points after the jump. They were posted this week in the Cuomo admin's Flickr stream. Over at NY Mag there's an extensive recap of the story so far. And the TU's Keshia Clukey has following the story intensively on Twitter. ProPublica's map of the top states for guns recovered in New York and traced in 2012. The version on ProPublica's site is clickable, and also includes where guns from New York end up. More than two-thirds of the guns recovered in New York State in 2012 and traced through the federal government's tracing system were originally purchased out of the state, according to the federal Bureau of Alcohol, Tobacco, Firearms and Explosives. The new org ProPublica has compiled the ATF data for each state and put together a good visualization that allows you to see which states are the top "exporters" and "importers" of traced guns relative to other states. The top source states for New York: Virginia (14 percent), Pennsylvania (11 percent), Florida (10 percent), Georgia (10 percent), and South Carolina (8.6 percent). The top states for guns traced back to New York: Florida (17 percent), New Jersey (9 percent), and Pennsylvania (9 percent). 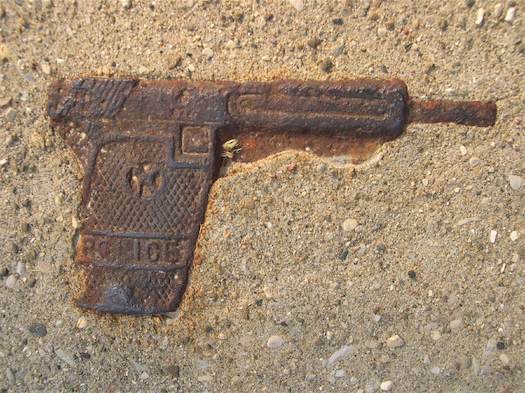 Of the traces logged by the ATF in 2012, 45 percent were for guns recovered in New York City. A little less than 1 percent -- 79 guns -- were recovered in Albany. Update 2014-01-27: Collins has pleaded guilty to attempted kidnapping. One of the things about crime stories is that so often the people involved -- both perpetrators and victims -- end up being portrayed as one-dimensional characters. And while there are understandable reasons why that happens -- time, space, limited resources, limited attention -- it also sometimes makes it hard to remember these events are happening to real people. And maybe it also makes it harder for us to understand how and why these things happen. The man accused in the alleged abduction attempts is 54-year-old Anthony Collins. As it happens, Collins is the subject of a documentary project by UAlbany student Shannon Straney. In the short doc, Collins talks about being diagnosed with mental illness, and Straney's project is aimed at better understanding how the condition has affected his life. Part 1 of the project is embedded above. A screengrab from this afternoon. With the exception of crimes related to domestic incidents and sexual assaults, all reported crime in our city will be mapped with a built in 72 hour posting delay. The delay is designed to give Investigators a "first look" at an incident and apply any limitations they see fit specifically relevant to their investigation. Once mapped, the information remains embedded in the mapping, subject to numerous choices the user can make; eg. date range, type of crime, etc. Previously noted exceptions to the mapping will always be subject to inclusion should a public safety need to post the incident be evident. This is a good step, as we've said a bunch of times before, it'd be great to see other local municipalities head in this direction. Update October 10, 2013: APD says it's arrested the guy. From the odd alleged crime file: Someone is apparently going around Albany neighborhoods stealing bottles out of the boxes for home-delivered milk. My family has been dealing with the lamest criminal ever for a couple of weeks now. I'd appreciate it if you could share this with your audience. My understanding from the Meadowbrook dairy folks is that they are getting many reports of stolen milk from folks in the New Scotland Ave, Center Square and South End. This guy is basically driving his bike around 3-5 days a week from 6-7:30 in the morning to steal milk bottles. (Yes, you can still get milk delivered.) The cops and the dairy are pretty sure that he either steals empties, or dumps the full bottle so that he can return them to stores like the food coop, shop-rite, fresh market for a whopping $2. As a geek, I of course seized this annoyance as an opportunity to buy (an incredibly cheap) wifi network camera with night vision. So here he is. Albany people, if you recognize this dude or see a guy with neon yellow sneakers stealing crap from people, please let me know and call the Albany police. Bernard's video is embedded above. We talked with the Albany Police Department about the situation. APD spokesman Steve Smith says they've gotten two official reports of recent milk bottle thefts -- one in the New Scotland neighborhood, the other in Center Square -- but they believe there have been "several" other incidents. If you have info about the bottle thefts, call the APD: (518) 438-4000. Feds: Men conspired to build mobile x-ray weapon. | Is that possible? As charged in a Complaint filed in U.S. District Court in Albany, the essence of the defendants' scheme was the creation of a mobile, remotely operated, radiation emitting device capable of killing targeted individuals silently with lethal doses of X-ray radiation. The defendants plotted to use this device against unwitting victims who would not immediately be aware that they had absorbed lethal doses of radiation, the harmful effects of which would only appear days after the exposure. This was an undercover investigation and, unbeknownst to the defendants, the device that the defendants designed and intended to use was rendered inoperable at all times and posed no danger to the public. The federal complaint is embedded after the jump. In the complaint, the feds allege Crawford "identified Muslims and several other individuals/groups as targets." 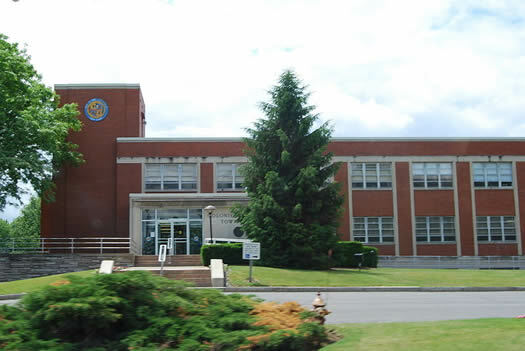 They allege he had contact with the KKK, and that he also tried to solicit support from local Jewish organizations to help build a weapon that could be used against Israel's enemies (the TU reports one of the orgs was Congregation Gates of Heaven in Schenectady) -- the orgs reported Crawford and that put him on the radar with authorities. Feight was allegedly brought in to help build a device for remotely activating the radiation weapon. The Times Union has more details from the complaint, in which the feds say Crawford never got a hold of a radiation source because an undercover FBI agent was acting as his supplier. The allegations are unsettling and bizarre. And they prompt a lot of questions about the situation -- perhaps the primary one is whether these guys could have actually pulled off what they allegedly intended to do if the FBI hadn't been running interference. State attorney general Eric Schneiderman announced today an effort to crack down on mobile phone theft -- by leaning on the manufacturers of the phones. Citing the prevalence of mobile theft -- and the violence that sometimes occurs along with it -- Schneiderman said in a statement: "The companies that dominate this industry have a responsibility to their customers to fulfill their promises to ensure safety and security." The AG has sent letters to heads of Apple, Microsoft, Google, and Samsung urging them to take up the issue. In particular, I seek to understand why companies that can develop sophisticated handheld electronics, such as the products manufactured by Apple, cannot also create technology to render stolen devices inoperable and thereby eliminate the expanding black market on which they are sold. I would be especially concerned if device theft accrues to your company's financial benefit through increased sales of replacement devices. 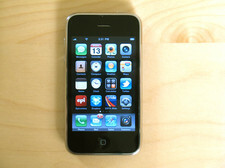 A recent study found that lost and stolen cell phones cost consumers over $30 billion last year. Here's more about that analysis Schneiderman references. The "mobile security" firm behind has also conveniently agreed to "advise [Schneiderman's] office on a pro bono basis on these issues." Coincidentally or not, Schneiderman's announcement follows a NYT story early this month that looked at the same set of issues. The article focused on making it harder for a phone to be wiped and re-used after it was reported stolen. As alleged, Assemblyman Eric Stevenson was bribed to enact a statutory moratorium to give his co-defendants a local monopoly - a fairly neat trick that offends core principles of both democracy and capitalism, simultaneously, and it is exactly what the defendants managed to do. The allegations illustrate the corruption of an elected representative's core function - a legislator selling legislation. OK, so how much do you think local monopoly-creating state legislation goes for these days? Here's some help: One of the businessmen allegedly involved in this scheme said the moratorium on the opening of new adult day care centers would cause the value of their own day care centers to "skyrocket." That's gotta be worth a lot. So Stevenson must have really raked in some serious coin for this alleged deal, especially when you consider the risks, right? Yep, that's all it allegedly cost to buy a piece of state legislation that would effectively block competition for what is probably a multi-million dollar business. Just 10 grand. That's not even enough to buy a new sub-compact car. Which leads us to wonder: Why haven't we been buying state legislation all along?! Who knew it was so cheap?! It's practically a steal! Do you get a discount if you buy in bulk? If we order it via Amazon Prime, can we have it delivered the next day (in session only)? 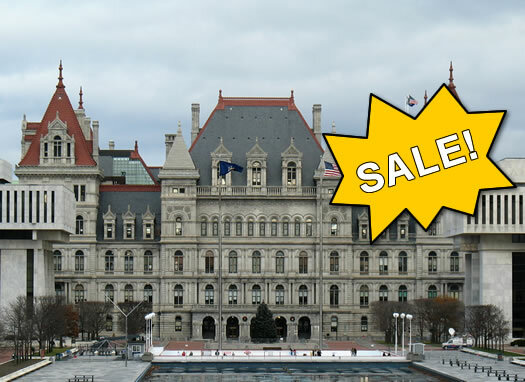 The fact that there is corruption in state government is already frustrating, irksome, and sad -- it's even more so when we find we're all being sold out at such a discount. Earlier this week, state Senator Malcolm Smith, a Democrat, was charged with being part of scheme to bribe three Republican city officials to let him on their party's primary ballot for mayor of New York City. The alleged price (bribe) for that: about $100,000 paid by an intermediary -- and help getting $500k from the state for a road project. As officers were dispersing the crowd, Clint Junco, 18, Delmar, did lunge at and strike an on-duty police officer in the face with a closed fist. Junco was arrested and charged with Disorderly Conduct, Resisting Arrest, and Assaulting an Officer. Additionally, officers arrested Najee Bennett, 17, Bethlehem, for Disorderly Conduct for engaging in tumultuous behavior. The fight occurred after the parade had concluded and the crowd was quickly dispersed. Full press release post jump. Of course, this kind of thing is on everyone's radar because of the kegs 'n eggs free-for-all a few years ago. This doesn't appear to rise to that level. At all. It's not even the entirely-new-cast-except-one-minor-character, low-budget, direct-to-video sequel to kegs 'n eggs. But -- and not to make too much out of this -- it is notable that the two people arrested for allegedly being part of this incident are both not from the city. If you talk with residents of areas such as the Lark Street/Washington Park neighborhood following a large event, you'll often hear them lament the rather jerkish behavior of people attending the parade/festival/whatever -- many of whom then head back home somewhere else, either out of the neighborhood or out of the city. By the way: Here are a few videos from the parade itself. The Troy Police Department says it executed search warrants at two sites Tuesday night as part of an investigation into what it describes as "a major drug production and distribution operation." Also subject to the execution of a search warrant was the basement apartment at 2209 16th Street. Troy Police ERT was deployed to insure safe entry based upon concerns of possible weapons present. After the location was secured, Investigators located a large cache of US currency ($9300), approximately 100 grams of marihuana and a copious amount of crack cocaine, in both bulk form and packaged for sale. Within the apartment were scales, cutting agents, "cooking" utensils and drug packaging materials. Of note was the discovery of one and one-half pounds of crack cocaine in pancake form; the drug was in its bulk state, not yet cut or packaged. Live ammunition was also discovered within the apartment. Crack devastated many communities during the 80s and 90s. And obviously it's still a problem. But recently there's been not-as-bad news: cocaine use appears to be declining. The number of people who reported using cocaine in the past month declined from 2.4 million in 2006 to 1.4 million in 2011 (the most recent year available), according to the federal National Survey on Drug Use and Health. The number of people who reported using cocaine for the first time was 1 million in 2002 -- in 2011, it was 670,000. And the difference in first-time users was even more stark for crack: 337,000 vs. 76,000. 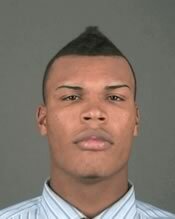 State Police and Albany Police officials are currently searching for Eric L. Green, 18, date of birth February 7, 1995, for questioning in conjunction with the assault and stabbing which occurred on March 3, 2013 on the concourse of the Empire State Plaza on Trooper Rodney L. Smith. 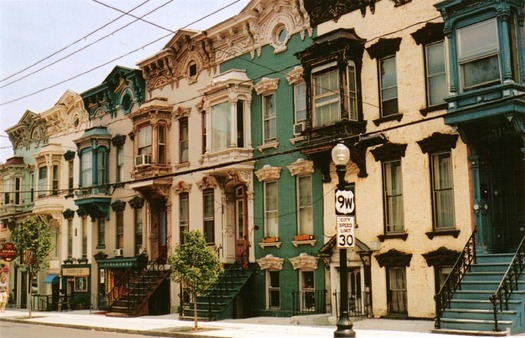 Green's current address is unknown but he does have ties to the Grand Street area in the City of Albany. Officials are asking anyone who might have seen him or know of his whereabouts to contact 518-474-5330 with any information. State Police say Smith was stabbed in the neck with steak knife around 3:15 pm. NYSP says the attacker had struck up a conversation with Smith, and while Smith was looking at the man's ID, the man stabbed him. Smith was taken to Albany Med and is expected to recover. While investigating the incident, officers located a total of 14 individuals in the basement being subjected to what appeared to be an initiation for membership in an unsanctioned group or fraternity. Officers observed several individuals lying face down on the basement floor with their faces submerged in water. They were being struck with wooden paddles and rubber hoses while being told to "beg for mercy" and having cold water from a garden hose poured on their heads. APD says nine people in total were arrested on a variety of charges -- seven of them were charged with hazing in the second degree. APD spokesman Steven Smith says eight of the nine charged are UAlbany students. One day a week here for eight weeks. It's better than being on trial. Earlier this year I served on an Albany County grand jury. I had been dreading the experience -- one day a week for eight weeks was going to be a huge pain because of the work disruption. After it was over, though, I was glad to have served. In fact, I think everyone should serve on a jury at least once. It will make you see the world a bit differently. You might have seen Kristi's post about serving on a grand jury. I can't say my experience was as dramatic -- no annoying fellow jurors, no exploding assistant district attorneys -- but it did leave an impression. 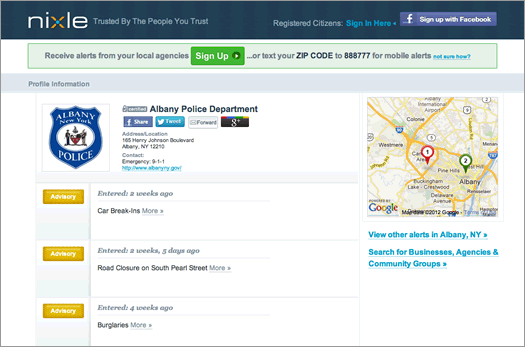 A screengrab of alerts from Albany police. Last week during the discussion over the safety of downtown Albany's Pearl Street area we heard from the Albany Police Department that it's been working on new ways of keeping the public updated with advisories and crime info. 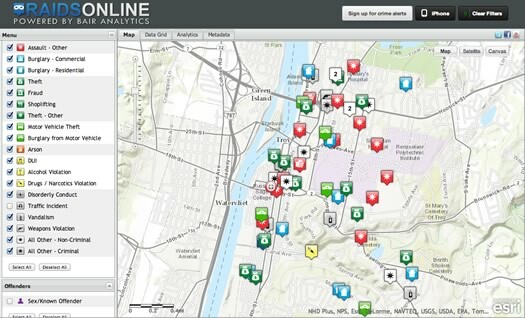 The APD is using an online system called Nixle, which offers law enforcement agencies the capability to issue notifications sorted by geographic zone to signed-up users. The department has been trying it out in the Pine Hills and Washington Park areas, and it says it's now ready to introduce it to other neighborhoods in the city. Yesterday Jerry Jennings and a group of downtown Albany business people stood in Albany City Hall to reassure everyone that the Pearl Street area is on the edge of a major change that will turn the city's downtown into a 24/7 community. You probably know the reason for this affirmation session: the comment from Ralph Spillenger -- the owner of the Bayou Cafe and the soon-to-be-closed Jillian's -- that his business had failed, in part, because people are afraid to go downtown because of crime. So, who's right? This situation is complicated because so much of it depends on perception. But there are ways to make it clearer. When the world points toward being fearful, how do you teach your kids to be brave? Sometimes it's a matter of knowing when to leap. So, I'm watching the Olympics with my daughters. And we're talking about how strong the women on the screen are, how brave the 15-year-old girl is as she twists and turns at 35 miles per hour off the high diving platform and into the water. "Mom, I want to do that. But she should be wearing a life-jacket. How can she swim without a life-jacket?" "Well, she practiced and practiced. And she learned how to hold air in her lungs and use her hands and feet, just like you do when you're wearing your life-jacket." "But that's far to jump. She shouldn't go by herself." I want to throw caution to the wind and tell my 5-year-old little girl that someday she'll be able to go places by herself, too. That she'll be jumping without a life jacket, and that I will hold my breath until she comes back up from under the water. But, truth be told, I am grateful for being the mother of a cautious child some days. Apparently, it's a scary world out there. There was recently a report of an attempted abduction just across the bridge in Scotia. A 10-year-old girl told her mother and police about an older man in a rusted, light-green, 4-door sedan who had tried to lure her into the car with candy. But she made it up. The girl later admitted to Scotia police that she wanted to get attention from her parents. There is a new baby at her home. There was about a week between that first report and the news that it was false. And despite the statistics that very few kids -- only about a hundred, out of tens of thousands of reports -- are taken in this sort of stereotypical situation, I had a day or two when my girls only played in the back yard. These sorts of stories generate a lot of fear -- they're our worst nightmare. And we'd like to think that the world wasn't always like this, that there were times that qualify as 'back in the day' when things like creeps in light green sedans didn't threaten the way we look at the world. But this just doesn't hold up. There have always been creeps in rusted, light green 4 door sedans. The important thing is that nobody got hurt. That's the important thing. Right? No injuries, no fatalities and nothing was taken that can't be replaced. One early morning about a week ago, while I allowed myself an extra hour to sleep off some jet lag, and my husband got ready for work, a neighbor knocked on our door. 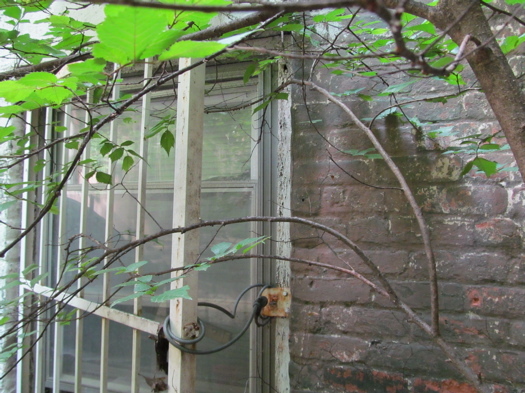 He'd noticed a teenage girl wearing ripped pants and a backpack slip out of our back alley. Now there's only one way into the alley, and he didn't see her enter. He asked her some questions but he wasn't comfortable with the answers, so he knocked on a few doors to see if everything was alright. Memorial Day weekend marks the unofficial start to summer. 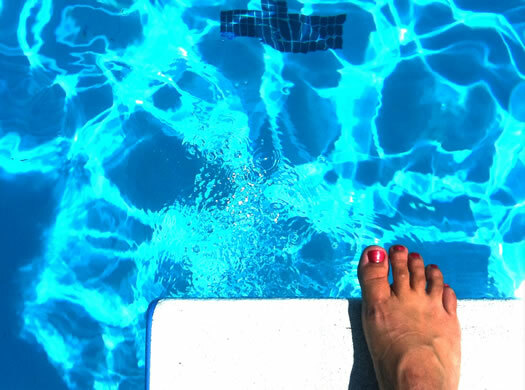 It's when many of us first open our pools, go camping, or host a backyard BBQ. But with the warmer weather comes an increase in violence and crime, and many of us are concerned with the number of shootings we have already seen this spring. This past Tuesday night in Troy a 15-year-old girl was shot in the leg while waiting for a bus. It was 7:40pm. 7:40pm! On River Street! 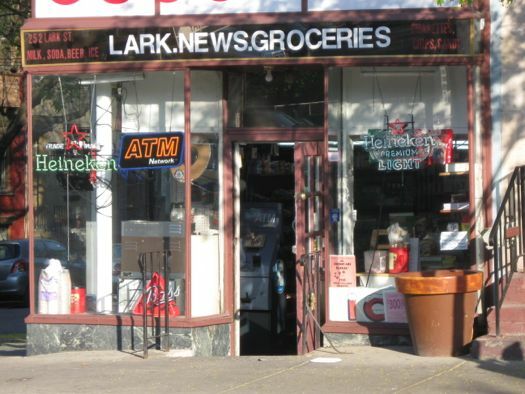 Albany police say the owner and an employee of Lark News and Grocery Saturday evening for drug possession. The APD says officer Michael Geraci -- the beat officer for the Lark Street area -- stopped into the store and saw the owner -- Zahid Gilani -- "sitting with several bags of marijuana and a scale at the stores counter." A store employee was also allegedly found with crystal meth, according to the APD. 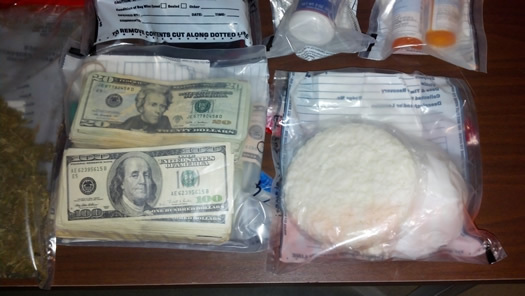 This is the second drugs-related arrest/incident at 252 Lark Street (Lark and Hudson, streetview) in the last month. A man police say is the owner of Jay's Place, upstairs, was arrested (again by officer Geraci) for alleged cocaine and heroin possession at the end of March (note this comment by Mk). 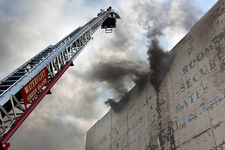 APD spokesman Steven Smith says Gilani owns the whole building, but it's currently unknown if the two situations are connected. 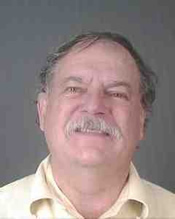 Albany police say they've arrested the suspect in the Albany Med cafeteria mercury case -- and he's from Ulster County. They say Martin Kimber (right) is a 59-year-old retired (but still licensed) pharmacist from Ruby, New York. The APD says it got a tip from someone who recognized Kimber's face from the security cam screengrabs shown on the news (the hospital posted a $25,000 reward for info directly leading to an arrest this week). It says detectives searched Kimber's residence in Ulster County and found "evidence linking him to the incident." Still not clear: why someone would spread mercury around a hospital cafeteria. Or drive 50 miles to do it. The state Attorney General's office announced today that a team of law enforcement agencies busted 52 people allegedly involved in a drug operation that's centered in Albany's South End neighborhood and associated with the notorious Albany gang Original Gangsta Killas (OGK). "This investigation has shut down a major network of gang members responsible for the sale of illegal drugs and possession of dangerous weapons in our neighborhoods," said AG Eric Schneiderman in a statement. The AG's office says the operation was trafficking "massive quantities" of cocaine, heroin, and prescription painkillers. 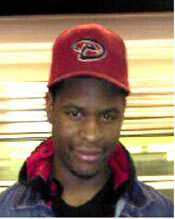 Originally tagged as a "person of interest," the APD said today this man is now a suspect. 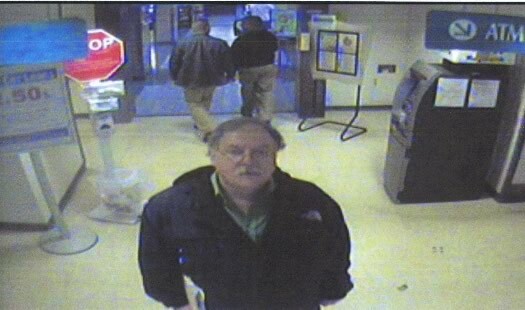 Albany Med announced today that it's put up a $25,000 reward for info leading directly to arrest and conviction of the person responsible for spreading mercury around the medical center's cafeteria on March 2. Albany police have released surveillance video screengrabs of the man they say is a suspect (above, and after the jump). The images are from 4:19 and 4:23 pm on March 2. The APD is asking people with info to call its criminal investigations unit: 462-8039. Crime fact of the day: There have been 41 copper burglaries reported to the Albany Police Department in the last 16 months. The APD says 3/4 of the burglaries have been in vacant buildings. If you keep an eye out here in the Capital Region, you'll notice there's a copper theft story every week or so. Many of the stories have stuck out for either the audacity (and stupidity) of the people involved, or the consequences of the theft. Albany police say a 61-year-old has been hospitalized for skull fractures after he we was allegedly beaten by men selling drugs on his brother's front steps Saturday in the South End. He had reportedly told the men to leave, there was an argument, and the group repeatedly punched and kicked them man, leaving him in the middle of the street. One man has been arrested and charged with gang assault. The APD says two sisters, ages 10 and 7, reported that a man -- approximately 70 years of age, wearing a black beret -- exposed himself to them as they walked home from Arbor Hill Elementary yesterday. The APD says a 60-year-old homeless man was arrested for allegedly ripping apart the chapel at St. Peter's Hospital yesterday. It alleges the man "threw numerous chairs around the room. He then overturned two church pews that were screwed into the floor causing the wood to split. He proceeded to flip over a wooden alter which caused it to partially break. Artz also allegedly punched several holes in the walls and ripped wiring from inside." Niskayuna police say an investigation involving the FBI has concluded that threatening YouTube videos directed at Niskayuna High School students starting last fall didn't originate locally. In fact, they didn't originate in this country. The NPD says the suspect is a minor -- in Ontario -- with no prior connection to the students. She allegedly noticed one of the Niskayuna students in a chat room and then tried to egg on some sort of online fight that was going on among the students. The lesson here, of course: beware of Canadians. More details on all these incidents are in press releases, pasted after the jump. The suspect was with another girl inside the library on February 3 waiting for her tutor in the teen area. The victim, 15, came into the library with another friend and sat down in close proximity to the suspect. Both girls started to make fun of the victim's clothes and his appearance. According to witnesses the suspect then started taking pictures and video of the victim with her cell phone. The victim, annoyed by photos being taken, knocked the camera out of the girls hand. The suspect started to yell at the victim and caused a commotion. She stated to him "you're going to get the bleach". The teen has been charged with felony assault. In the same press release, the APD says officers broke up a fight among three girls outside the Adult Learning Center on Western Ave near the downtown UAlbany campus on Monday. After the fight was broken up, the APD says a school official turned over a soda bottle filled with bleach that one of the fighting students had been carrying. 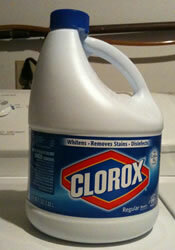 As Kate Welshofer tweeted this afternoon: "The only person who should be using bleach as a weapon is #MrClean." The full press release after the jump. Officer Michael Geraci was following up on a burglary report last Thursday with the owner of Frame Workshop at 215 Lark Street. The owner stated that someone had entered the business through a unlocked window between Wednesday night and Thursday morning and stole $240 from the cash register. Several picture frames, which were in front of the window, were also damaged when the suspect climbed in. The owner told Officer Geraci that a young boy, who he had befriended, had been hanging around the business over the last couple of days and was inside on several occasions. He believed that the boy had intentionally unlocked the window while he was inside the shop so he could get inside when the business was closed. The owner gave Officer Geraci the boy's name and showed him a picture of the boy on Facebook. The full press release is pasted after the jump. This is at least the second recent arrest that's resulted from Geraci noticing something on his Center Square beat (the other: the man who allegedly posed as a detective). Both cases point to the potential payoff of having beat cops and community policing (and admittedly, it's a tiny sample). Would those arrests have been made without it? Sure, maybe. But having an officer out in the neighborhood, talking to people, making connections couldn't have hurt. Weird: Albany police say a 19-year-old man has admitted to responding to "several dozen" police calls over the past year, representing himself as a detective. Mann was wearing eye glasses, had on a blue fleece jacket, dress shirt and tie, khaki pants and shoes. He had a bullet proof vest on and was carrying a portable radio, similar to one that police officers carry. Officer Geraci initially questioned him at the scene and Mann was brought to the detective division to be interviewed. Mann admitted to responding to several dozen calls over the past year, mostly in the Center Square area. He monitored police calls through a phone application that scans police transmissions, carried a police badge from Oakland, California and would identify himself as Detective Ruff when he encountered people in the public. The APD says Geraci nabbed Mann after recognizing him from responding to other police calls in the Lark Street area. There is no indication at this time that Mann specifically targeted anyone or anything for gain or that he was a threat to anyone. He was scheduled for a mental health evaluation. Mann has been charged with criminal possession of stolen property, but for the moment, not impersonation. APD says it's still investigating. More details in the full press released pasted after the jump. Colonie is ranked #7 on this year's list of lowest crime cities in the US as compiled by CQ Press. * The town was #1 in the rankings for 2010 and 2009. 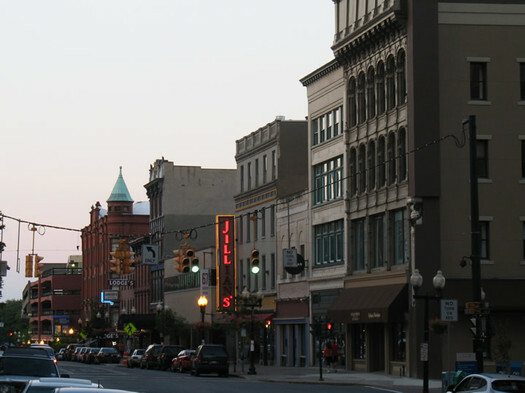 The city of Albany was ranked 295th on this year's list -- that's up (or, in reference to crime, down) from #317 in the 2010 rankings. And the crime score compiled by CQ for the city dropped from 86.77 to 68.06. CQ Press also ranks metropolitan areas. The Albany-Schenectady-Troy metro is #77 on this year's rankings -- it was #73 on last year's list. It's still well below the national average. The Glens Falls metro ranked #8 this year, after topping the rankings last year. Albany detectives have arrested a mother and daughter for robbing and beating a Watervliet man with a baseball bat and table lamp and then filing a report with police claiming he had burglarized their apartment. The whole thing is after the jump. Officials in Albany announce details Thursday of the extension of the "Safe Corridor" program to new Lark Street and Central Avenue. Part of the project will involve signs around the city that will direct pedestrians along what the program deems the safest route. The goal is to have as many people as possible along certain routes to prevent crimes from happening. There will also be "Safe Haven" business stickers given to participating business, as well as special LGBT-friendly rainbow stickers given to some businesses in the Lark Street and Central Avenue areas. The new one will be a partnership between the city government, the APD and the Lark Street and Central Avenue Business Improvement Districts. There are a bunch of issues that go along with this sort of program. 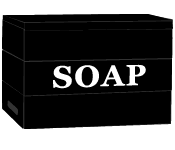 Are businesses ready for the responsibility that goes along with being a "safe haven?" And does designating certain streets as "safe" mean that other possible routes might become less safe because fewer people travel down them. The program could be helpful. And it's encouraging to see attention to the issue. But real change will probably only come from stepped-up policing and increased engagement with the public. A map of attacks on food delivery people, 2008-2011. At approximately 1:10 a.m. James Kehoe, 25, was attempting to make a food delivery for Soho Pizza to 172 Jay Street. He was approached on the street by the first suspect who told him "hold on my brother will be right out with the money". A second suspect came from across the street and wrapped his arm around the victim's throat and threw him to the ground. A third suspect then walked up behind Kehoe and placed what appeared to be a handgun to his neck and told him not to scream or he would get shot. The first suspect then reached into Kehoe's pockets and stole his money and cell phone. The APD says the suspects fled the scene after getting the money and phone. A search of the area, including a sweep by a K-9 team, came up empty. You might not think that being a food delivery person is a dangerous job, but attacks on them are not uncommon in Albany and other Capital Region cities. In fact, there have been six incidents just this year. Concerned and curious about about the frequency and locations of these attacks, we gathered reports of the crimes from the past four years, organized them by date, and mapped them. 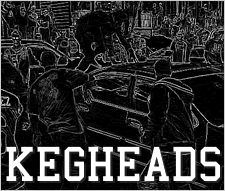 It's pretty much impossible to not have some sort of reaction to the kegs and eggs riot that went down in Albany over the weekend (especially after seeing the video). There are a few more clips after the jump. Keep Albany Boring has tagged a comprehensive round-up of clips with an apt phrase: "brocial media." YNN says Erin Vannella, one of its reporters, contacted the man via phone at the request of police. The station has been playing a recording of parts of the phone call on the air. In the clip, the man says he loves his wife and is suicidal. Vannella later said on air that the conversation went on for a long time and it appeared the situation was going to require patience. A few media outlets are tagging Twitter updates with #albanyhostage. 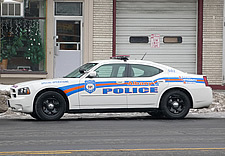 Albany police said they had arrested a 12-year-old early Sunday morning for allegedly driving a stolen car and then leading officers on a short chase through Pine Hills. Unusual enough... but there's more. The APD says this same kid was also arrested for driving a stolen minivan last Tuesday. The department had gotten a call around 1 am on November 30 about a vehicle "driving all over the road" near Quail and Central. The APD says officiers eventually nabbed the kid about eight blocks away in West Hill. The APD says the 12-year-old is a resident of the LaSalle School on Western Ave (the school across from St. Rose). They say the kid told them he had taken to key to minivan from the school nurse's office. The full release is after the jump. For the second year in a row, Colonie is ranked at the top of CQ Press' rankings for lowest-crime cities. * Also this year, the Glens Falls metro area ranked first among metro areas for lowest crime ranking. Albany ranked #300 #317 on the list of lowest-crime cities (it was #300 last year). And the Albany-Schenectady-Troy metro ranked #73 on the list of metros. St. Louis was ranked #1 for highest-crime. The Detroit metro area ranked #1 among metros. CQ Press says the rankings are based on data from the federal Uniform Crime Reporting program. Here's an explanation of the methodology. These rankings have critics. The FBI says it "discourages" such rankings and says they "lead to simplistic and/or incomplete analyses that often create misleading perceptions adversely affecting cities and counties, along with their residents." And the US Conference of Mayors called this year's rankings "a premeditated statistical mugging of America's cities." * Yes, Colonie is not a city -- it's a town. CQ Press tagged it as such, not us. In Schenectady, NY, a school maintenance man named Steve Raucci works his way up the ranks for 30 years, until finally he's in charge of the maintenance department. That's when he starts messing with his employees. Teasing them at meetings. Punishing them with crummy work assignments. Or worse things, like secretly slashing their tires in the middle of the night. TAL airs on WAMC Friday night at 8 pm and Saturday at 4 pm. You can also listen -- and download -- online. Earlier this year, TAL focused on the broken New York State budget. Update: The full press release from the APD is after the jump. Can anyone recommend self-defense classes? There appears to have been a string of bicycle thefts over the weekend in the Whitehall/Delaware neighborhood in Albany. 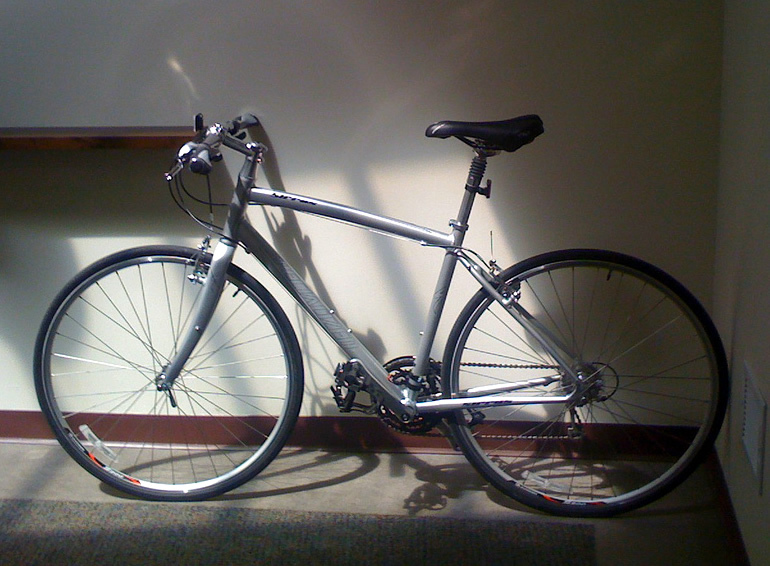 My bicycle was stolen out of my open garage while I was home on Sunday in broad daylight (between 6:30-7:30PM). The officer who came and took the incident report said he had just come from another home where two bicycles were stolen out of an open garage. 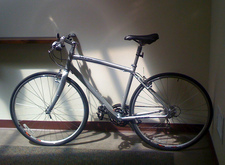 I went on Craigslist this morning to look to see if my bike was on there and found that five bikes were stolen on Delaware Ave on Sunday around 12:30PM off of a porch (a few blocks away - I live on Whitehall). It's a serious drag to think that you might have to lock up your bike in your own garage. The Albany police department has a bike registration program aimed at making it easier to recover stolen bikes. If you call 438-4000, you'll be directed to a number for more info (it varies by your location). There's also a "National Bike Registry" that says it includes the Troy, Colonie and Rensselaer police departments, as well as UAlbany and RPI security. We don't know much about this service -- and it costs $10 -- so caveat bike rider. Another option: ride a tall, pink bike. Today's hunt for an armed robber in Troy and subsequent lockdown at RPI seemed to stir up a lot people. There was the obvious (and understandable) "Yikes!" reaction to the thought of an armed suspect running through the neighborhood near campus -- but there also seemed to be a bit of confusion and frustration with the way information about the situation was communicated. Thankfully, no one got hurt. And maybe there are some good things that can come out of all this for the next situation. Update: YNN has posted video of the verdict being read in the court room. Update: The TU's Lauren Stanforth has a detailed breakdown of the counts. The verdict just came back. WTEN reports he was found NOT guilty on the terrorism charge. CBS6 has a rundown of all the counts. Oh, no! Blue Pants has gone rogue! 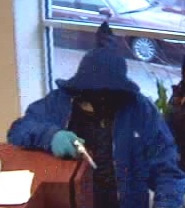 This Bandit Tracker photo is from a Buffalo robbery in January. Thankfully, the FBI has put together a site to help feed our interest: Bandit Tracker Northeast. 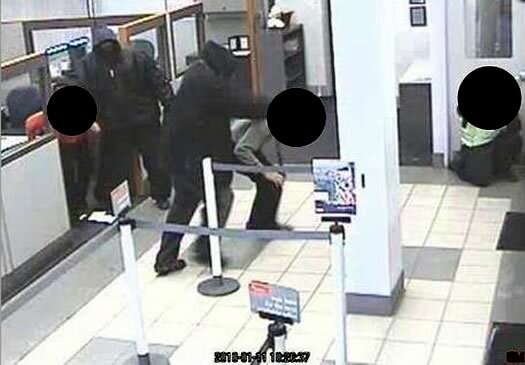 The site tracks open bank robbery cases across the area covered by the FBI's Albany division -- including upstate New York and parts of Vermont and New Jersey. There are robbery profiles, security camera grabs, a map and a feed. You can even subscribe via email (You have a robbery!). As it happens, the FBI also this week released nationwide stats for 2009 bank robberies. A few interesting bits after the jump. Safe as houses. In Colonie. Colonie and Albany are literally right next door, but their crime rankings almost couldn't be farther apart. Colonie tops the list of lowest-crime cities in this year's rankings compiled by CQ Press. 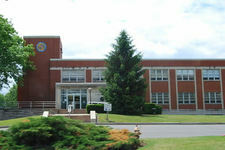 Colonie had only 54 incidences of violent crime in 2008, the lowest total of the 393 cities in the rankings. It ranked #10 last year. As far as we can tell, Albany is the only other Capital Region city on the list -- it ranked #300 (#263 last year). Each year when Crime in the United States is published, some entities use reported figures to compile rankings of cities and counties. These rough rankings provide no insight into the numerous variables that mold crime in a particular town, city, county, state, or region. Consequently, they lead to simplistic and/or incomplete analyses that often create misleading perceptions adversely affecting communities and their residents. Valid assessments are possible only with careful study and analysis of the range of unique conditions affecting each local law enforcement jurisdiction. The FBI does compile annual crime statistics -- here's the 2008 data for crimes in New York State, sorted by city. A bunch of local media outlets are reporting that three teens have been arrested for the murder of UAlbany student Richard Bailey last year in Pine Hills. The suspects are scheduled to be arraigned this afternoon. [Corey] Ellis met Modest about a year ago. He got a call from Modest's aunt. "She said, 'I hear you help young men.' I told her that I do," recalls Ellis. Ellis then met Modest and talked to him like he was a real person, not some street kid, a criminal, or a pariah unworthy of his attention. After that, Ellis brought Modest to a peer-mentoring program at the Arbor Hill Community Center. That is when Ellis says he realized Modest's ability to influence his peers. "You gotta just pull them out one by one," says Ellis. But Ellis realizes despite the fact that he grabs Modest off the street whenever he can, even though he is willing to go out of his way to find him and give him something to do other than hang on the street, trouble is still waiting. "It is that one day that I am not there. That single moment. I see it when he is away hanging with his friends for a while. He changes. Then, when he is back with me, he is himself again." "People have told me King is going to break my heart," says Ellis. "I told 'em to wait and see. This young man is special." 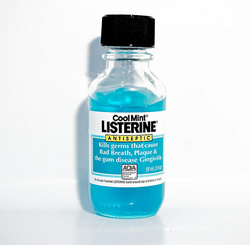 There was a weird -- and sad -- story in the TU today about a guy in Rensselaer County who failed a court-ordered sobriety test -- and his attorney blamed... Listerine. The excuse apparently didn't go over well with the judge. And it seems laughable. But it got us wondering: is apparent-intoxification via mouthwash possible? The Schenectady Police Department has started posting its arrests reports (including mugshots) online -- and it's publicizing them via a Twitter feed. It looks like the department just started this week. 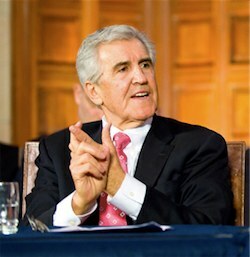 Is Joe Bruno going to prison? Today has become Christmas, Hanukkah, Easter, Halloween, Purim, St. Patrick's Day, Fourth of July and Boxing Day all rolled into one for the political junkies and media in New York State. 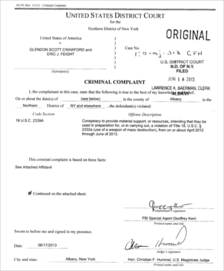 Not only has Kirsten Gillibrand been appointed to the Senate, but Joe Bruno has been indicted. Uncle Joe was arraigned this afternoon -- he pleaded not guilty -- and was defiant, saying he's been "a target of a get Joe Bruno campaign." If convicted, Bruno could get 20 years in prison. In other news, officials from nearby federal penitentiaries said they're excited about their chances of landing a multi-billion dollar chip fab facility. It snowed, pharmacy held up with a grenade, man stewed before bank heist, Paterson in Iraq, hope for ESP skating rink? Formal Vandals - Saratoga Springs, NY - 08, Nov from SÃ©bastien B. on Vimeo. By they way: the original video popped up on the Oddball segment of Countdown with Keith Olbermann on Friday. Yeah, this isn't embarrassing. At all. You might have seen this already, but we had to post it because, well, it's pretty funny. (In the of-course-we-don't-condone-vandalism-at-all kind of way.) It's surveillance video of the three people who damaged the horse sculpture outside Roohan Realty on Broadway in Saratoga this past weekend. (Full length from the TU and CBS6 -- a sort of highlight reel from 518L). What gets us about this video is the way the people look like they're acting drunk: the exaggerated stumbling and tumbling, the way the cigarettes swing around in their hands, the almost forced-looking laughter. It's like drunk people parodying themselves. The Saratoga police say they're still looking for the vandals. Paterson's top advisor quits, woman murdered in Schenectady, local home prices steady, gambling with sick days, upside to global warming? Gillibrand and Treadwell talk about economy, texting while driving ban proposed, Saratoga shops concerned about police overtime, a new supermarket moving in? 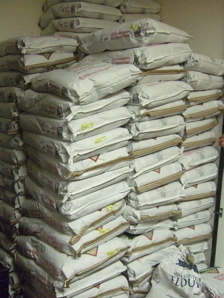 Check this out: two guys were arrested this week at the Port of Albany for stealing flour. Yep, the stuff used to make bread. The haul seized at the time of the arrest was worth almost $2 grand, but police think the duo might be responsible for as much as 375 tons of flour that's gone missing at the port. So why lift flour? Prices for wheat (and other agricultural commodities) have shot through the roof over the last year, which has in turn pushed flour prices up. At one point this year, wholesale flour prices were double what they were last year. The cost increases have been crunching places like pizzerias, and as we found out earlier this year, bagel shops. Even so, it's kind of weird to think there's a black market for flour -- it's not the kind of white powder that usually shows up in police raids. A hot -- and sometimes hot -- commodity. 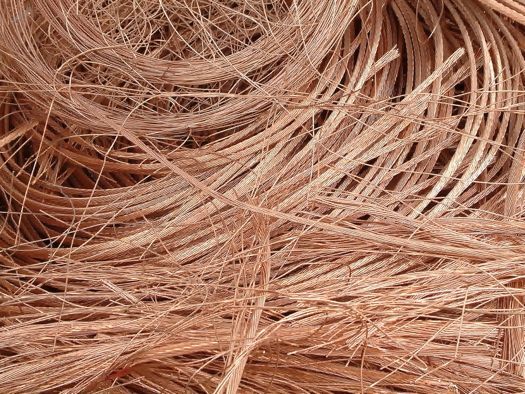 The TU reported today that a group of thieves took off with 780 pounds of copper wire from a recycling company in Colonie last night. 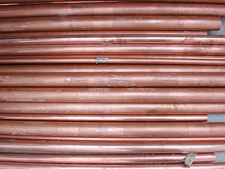 Why rip off copper? The price of the metal has increased more than five-fold since 2001 (demand from China has been pushing up prices). That's made copper quite the target for thieves. Depending on the type of wire, the copper stolen last night in Colonie is worth somewhere between $435 and $1,100. But it looks like the thieves need to work on their market timing. Copper prices took their biggest dip in a year today. It's only Tuesday and we already have what looks like the clear winner for weirdest story of the week. The alleged stabber has been found. He turned up at a hospital in Troy. Police aren't sure what prompted the incident. Maybe-funny-only-to-us line from that CBS6 story: "This is something Albany fire trains on regularly and it paid off this morning." They train for removing 300-pound stabbing victims from the top of buildings? That is some comprehensive training. Sewer system overloaded, trans-fat ban detailed, two kids use knife to rob Crossgates kiosk, light rail for Capital Region? The Albany gun buyback: buyer's remorse? This one shouldn't be a problem. A new program in Albany will be "buying back" guns in an effort to rid the city of "community" guns like the one that was allegedly involved in Kathina Thomas' death. Here's how it works: you show up with a gun (unloaded, we hope), hand it over, they give you a $150 gift card for the mall, then the guns get turned over to the Albany County DA. Sounds like a plan, right? Unfortunately, gun buybacks don't appear to work.